Search thousands of events and filter by event category, location, budget and keywords. When you’re ready to begin the negotiation process, you can connect with an event’s organizer directly. Your privacy is protected and only sponsors can initiate negotiations with organizers. 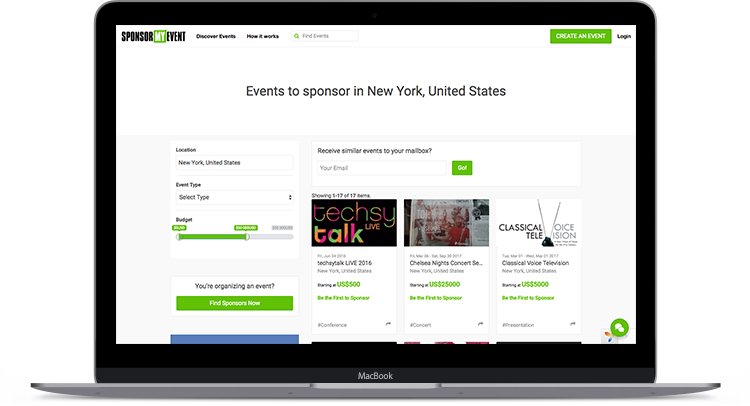 There’s no cost to join SponsorMyEvent and as a member, you’ll have full access to search the Marketplace. 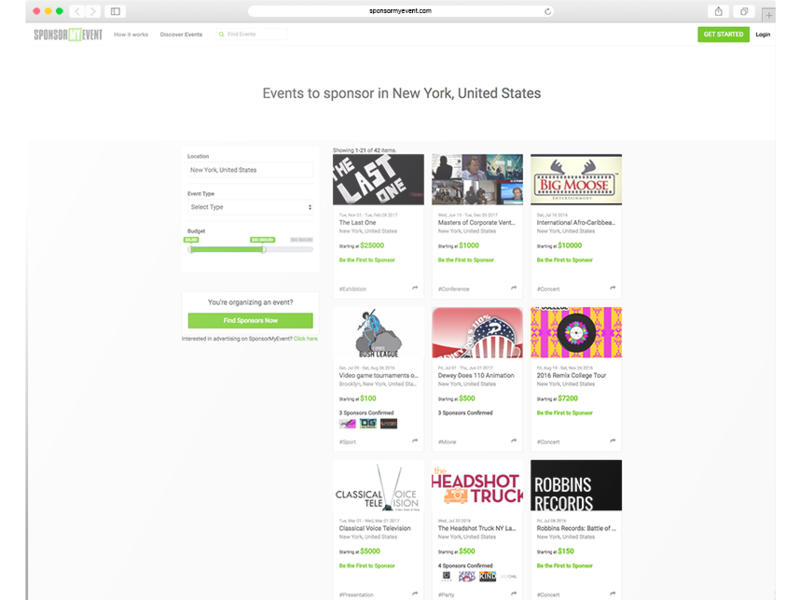 When you find an event to sponsor, you’ll only pay the advertised event’s sponsorship cost. We don’t add any additional fees to your transaction as a sponsor. Whether you’re a B2B or B2C brand, event sponsorship is a targeted channel that you can leverage to grow your brand’s exposure. Search thousands of events and filter by event category, location, budget and keywords. Each event has a digital prospectus with information about the event and provides instant access to sponsorship offerings and pricing. When you’re ready to begin the negotiation process, you can connect with an event’s organizer directly. Learn more about the event, inquire about any questions you might have and negotiate the terms of your sponsorship deal. Our platform is home to the entire process of sponsorship from discovery to secure payment. 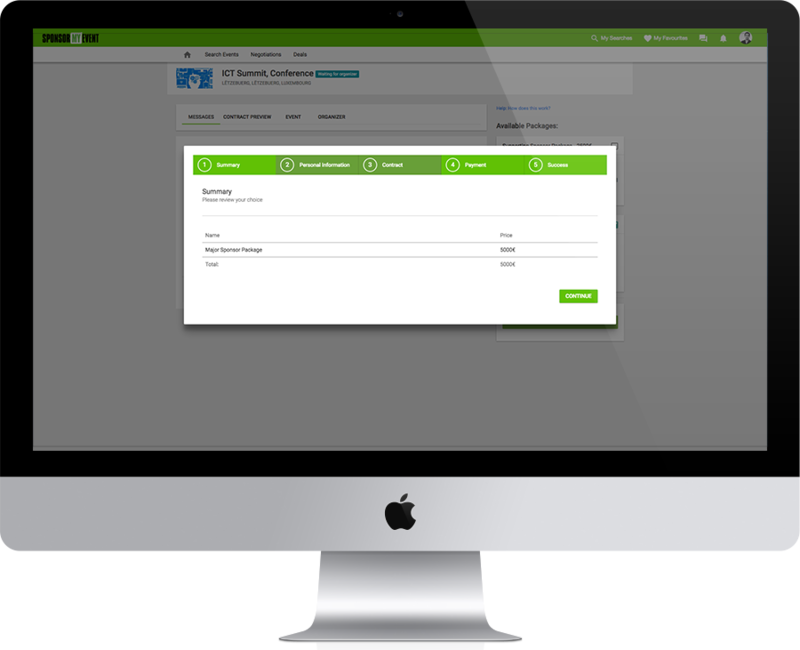 We have built-in messaging, negotiation and deal tracking so that you can manage one or multiple deals. Your privacy is protected and only sponsors can initiate negotiations with organizers. Transactions occur within the SponsorMyEvent platform. Sponsors incur no additional fees beyond the price of the chosen sponsorship.